A simple change to our daily habits can help our beautiful planet. We are very excited to introduce to you, our very own range of KeepCup’s and Pottery For the Planet Ceramic cups. This means our coffee will taste even more amazing when you drink it from your own KeepCup or Planet Cup…Let’s be honest, coffee just tastes nicer in a real cup. The fact is, single use disposable cups are piling up our landfill, especially with Australia’s increasing love affair with coffee. It is estimated 1 MILLION disposable cups end up in landfill every MINUTE! 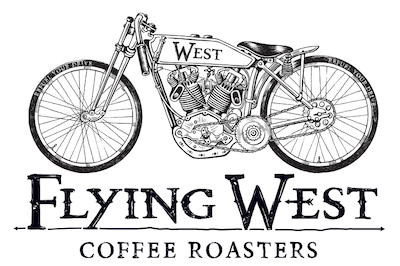 Crazy, we know… so that being said at Flying West Coffee Roasters we are conscious about our environmental impacts and want to help make a difference. We’ve teamed up with Sunshine Coast based ceramic artist Renton Bishopric and partner Clair Botfield who together have launched Pottery For the Planet- limited edition pottery pieces that raise money and awareness of environmental issues. Each of our unique cups are hand made, and are available in both 8oz (230ml) and 12oz (340ml) sizes in a range of beautiful colourful glazes. They also come with a 100% silicone lid, so you can sip away on the go! Our new range of KeepCup’s come in durable glass and polypropylene silicon that is BPA free. The KeepCup colours represent our coffee blends: Cheeky Monkey (Watermelon), Little Friend (Teal), and Organic Blend (Green). Come and see Flying West Coffee Roasters at the Original Eumundi Markets and The Eumundi Square markets and grab yourself your very own KeepCup or Planet Cup. The even more exciting news is with your first purchase of our KeepCup or Planet Cup you get a free coffee. Winning!